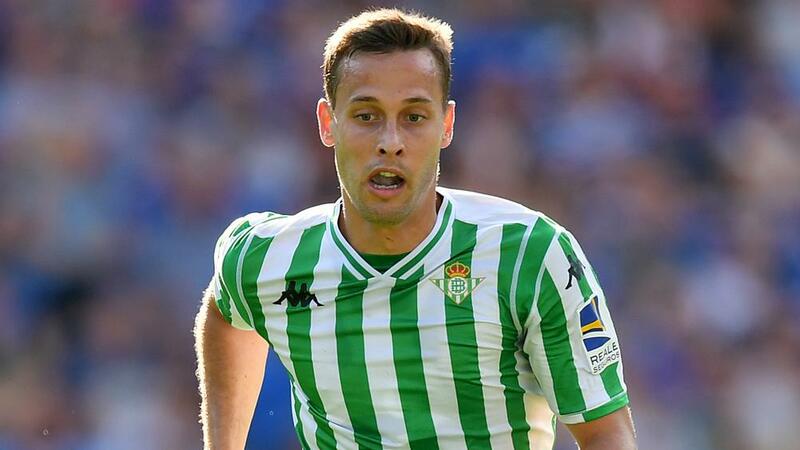 Sergio Canales admits he had given up on playing for Spain before he was called up by Luis Enrique for this month's Euro 2020 qualifiers. The midfielder played for his country at every age level from the Under-16s to the U-21s but has not yet earned a cap for the senior side. However, with Isco overlooked and Saul Niguez also left out until he was named a replacement for the injured Fabian Ruiz, Canales was rewarded for his fine form with Real Betis this season. And the former Real Madrid man is determined to enjoy an opportunity he thought had eluded him. "I stopped thinking about the national team," he told reporters. "I always had the desire to reach the highest level, after going through all the youth teams, but there were moments when I felt it was no longer an objective and it gave way to others that were a priority. "It was on my mind to recover, to be good, play regularly and to a good level. I've surpassed that I'm very happy for that. "Whatever happens here, it has to be taken as a prize. I'm going to give 200 per cent. It's amazing to be able to enjoy this. "To be with the national team is an amazing reward after all the work I've put in to reach this point." Spain begin Euro 2020 qualifying against Norway on Saturday before they take on Malta three days later. Despite reaching only the last 16 of the World Cup last year and being pipped to a Nations League Finals spot by England, Canales believes his side are the favourites for the European crown. "We go out to win every game - that's what the coach transmits to us," he said. You can see the excitement in the dressing room. We're favourites for the Euros and we'll go for it."